Disney Publishing Launches New 'Lion King' App! 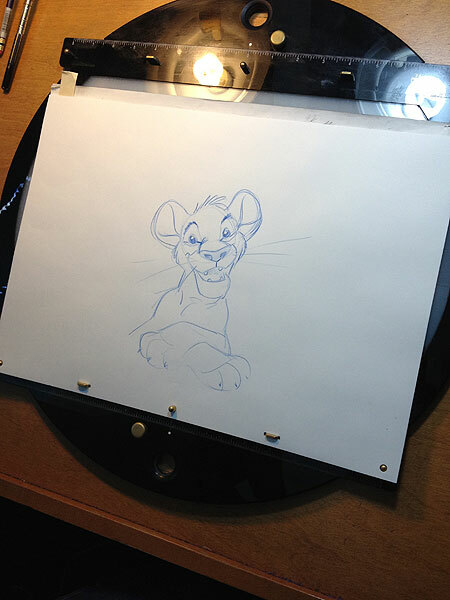 When the blockbuster hit "The Lion King" premiered 18 years ago, it was the highest-grossing hand-drawn film in history -- and found a whole new generation of fans when it was released in 3D late last year. Now, thanks to the innovators at Walt Disney Animation and Disney Publishing, children will be able to experience it with a new iOS app called "The Lion King: Timon's Tale." ExtraTV.com's Kit Bowen recently had the great pleasure of meeting Creative Director and Head of Special Projects Dave Bossert, who talked about this exciting new venture and about the future of animation. "What's great about this app is that it's told from our meerkat pal Timon's point of view," said Bossert. "We did some custom animation specifically for the app. So there's animation you're not going to see in the movie or anywhere else. It's an enhanced e-reader, a fairly robust app." He explained, "This is the first one we've done with Walt Disney Animation Studios and Disney publishing group for an iPad app. We also did "Beauty and the Beast" and "Tangled" apps. We released the "Beauty and the Beast" app with the theatrical release of the film in 3D, and the app has been the No. 1 kid's book app for two weeks!" Bossert has been working at Walt Disney studios for 30 years and admits he has "worn pretty much every hat you can wear." 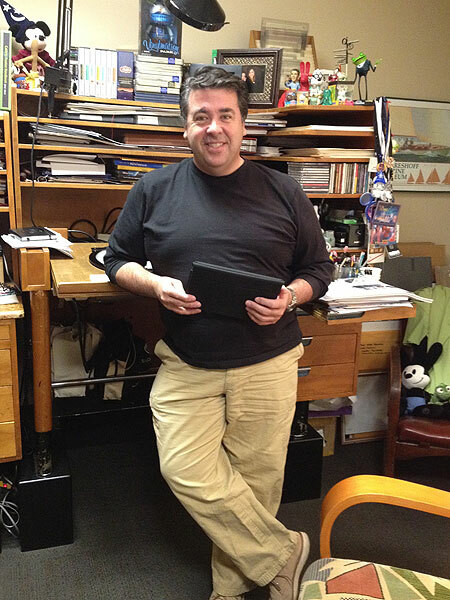 For the last 10 years, he has built a special projects unit at the studio that handles ancillary animation projects globally for the Walt Disney Animation company. "From my perspective, I think it's a very exciting time," said Bossert. "It's like the Wild West out there. There's so much going on and so many changes happening quickly, you really have to keep on top of it. I find it invigorating and challenging. I also know a lot of my colleagues are fearful of it, scared with change. I've always taken the attitude that change is good." He believes this has always been the way the folks at Disney have operated. "The story of the Walt Disney Animation studios is a story that's never going to have an ending. It continues to evolve. The history of this studio has always been about the blending of art and technology." Bossert took Bowen on a tour of his operation, where she talked with the special animators, like Mark Henn, working with "The Lion King's" wonderful characters in creating a brand new "Lion" experience. "With any classic Disney animated feature, there is a great story, endearing characters," explained Bossert. "They resonate from generation to generation. If you look at a film like 'Bambi,' it still resonates today as it did when it was released in 1940. So with 'The Lion King,' it's the same thing. It's a coming of age story." Henn has been drawing the young Simba from the beginning. What is the one thing about Simba we might not know? Bossert and Henn laughed, saying, "Good question... nothing that's printable." As for the future of animation, Bossert surmised, "When you are making an animated film, it's not just about the technique now. It's about the animation knowledge you have. It's about timing, composition, design and acting. A great animator is not just someone who knows software or knows how to manipulate software. You have to be able to apply all those animation principles that you've honed over many years." "The Lion King: Timon's Tale" is available for the iPad, iPhone, and iPod Touch -- starting Monday. Click here for more information and ways to download!